Bankruptcy or IVA: What's the Best Way to Go Bust? Home > Becoming Bankrupt > Bankruptcy or IVA: What's the Best Way to Go Bust? People who are in financial difficulties still have some options to help them deal with their problems, the main ones being either to go bankrupt or to take out an individual voluntary arrangement (IVA). But what are the main differences between bankruptcies and IVAs and what is the best way to ‘go bust’? The statistics are frightening. The number of personal insolvencies has risen by nearly a fifth in the past year alone and it is estimated that 330 people are going bust each day. Already this year there have been more than 30,000 insolvency cases in England and Wales. Interestingly, the number of bankruptcy agreements has increased by less than 1 percent, whereas the number of IVAs has increased by almost 4 percent. Clearly IVAs are gaining in popularity and are being increasingly used by people declaring themselves financially insolvent. 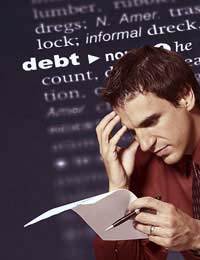 IVAs were first introduced to provide individuals, particularly those with relatively small debts, with an alternative to bankruptcy. The various different types of debts that can be included within an IVA includes personal loans and credit-card balances. Although IVAs are considered relatively more flexible and less damaging than a bankruptcy, an IVA is still a legally binding contract between the person entering into the agreement and their creditors. An IVA usually sets out in a pre-agreed contract that the individual is allowed to settle their outstanding debts within a reasonable timeframe, usually within five years. Under the agreement, someone with an IVA will be required to make affordable monthly payments, based on what has been agreed that they can afford. When the final agreed payment is made, the remainder of the debt is legally written off. A bankruptcy petition can be made by any creditor who is owed debts of £750 or more. Alternatively, people can file for bankruptcy themselves by filling out forms at County Count. Under a bankruptcy order, the debtor’s assets, which could include the contents of their house, their pension or their car, are sold and the proceeds are distributed among the people owed money. The bankruptcy practitioners are also paid a sum to cover their administration costs. In worst cases the home of a bankrupt person may have to be sold to cover the outstanding debts. The good news is that with a bankruptcy it usually ends after a period of twelve months or less. At this point your slate is wiped clean and the remainder of your possessions are still yours. One of the biggest drawbacks with bankruptcy is the sudden loss of your assets. The IVA process is different in that you keep your possessions, although you may be required to remortgage your house to help pay off your debts. The IVA process is also different because your financial situation remains private. With a bankruptcy it becomes a matter of public record and can be published in newspapers. Whilst an IVA will be published on the Insolvency Service website, it will not be featured anywhere else. For many people, bankruptcy is the best option available to them. It helps to take away the pressure of dealing with creditors (these will have to go through your bankruptcy practitioner going forward). It also means a shorter timescale in which you will be legally bankrupt. After a year you can make a fresh start. An IVA on the other hand stays with you for far longer, usually around five years. Both IVAs and bankruptcies are painful procedures to go through. They are however a last resort for people who are not able to meet their financial obligations. Whether bankruptcy or an IVA is the right step for you to take depends on your individual circumstances, and your personal attitude to repaying debt.